Входящие в комплектацию элементы Raid Caching Controller, Quick Start User Guide, 1 standard & 1 Low Profile bracket. No SAS Cables are included. 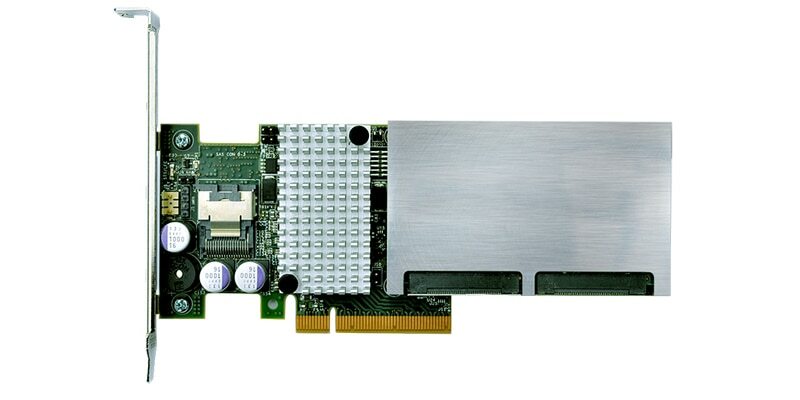 Описание 6G SAS RAID with 256GB of onboard Flash, dual-core ROC & 4 internal ports. No cables included.